I love making muffins! And these ones have got to be one of my favorites. They only contain 3/4 of a cup of sugar and no butter! 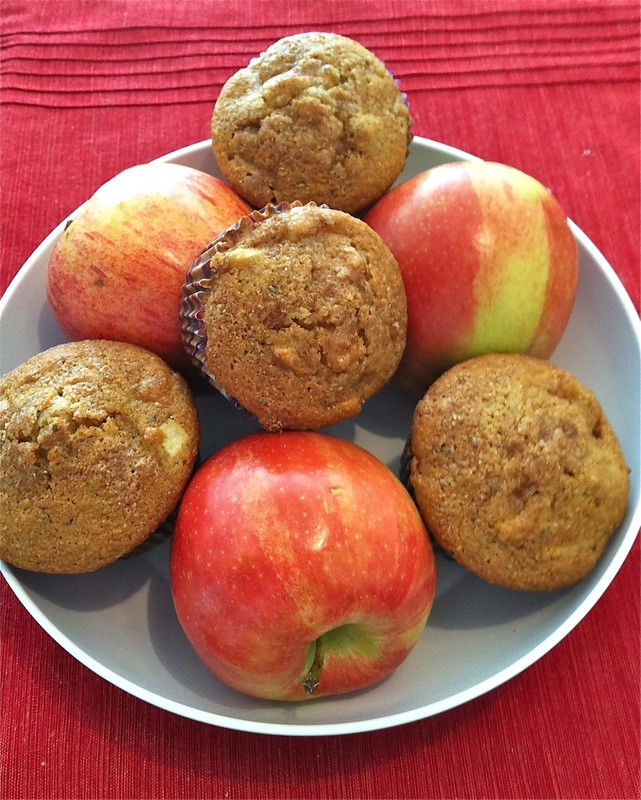 The apple chunks and natural apple sauce provide all the sweetness in this moist, easy to make muffin. I found the original recipe here about a year ago and have been making them over and over again ever since. 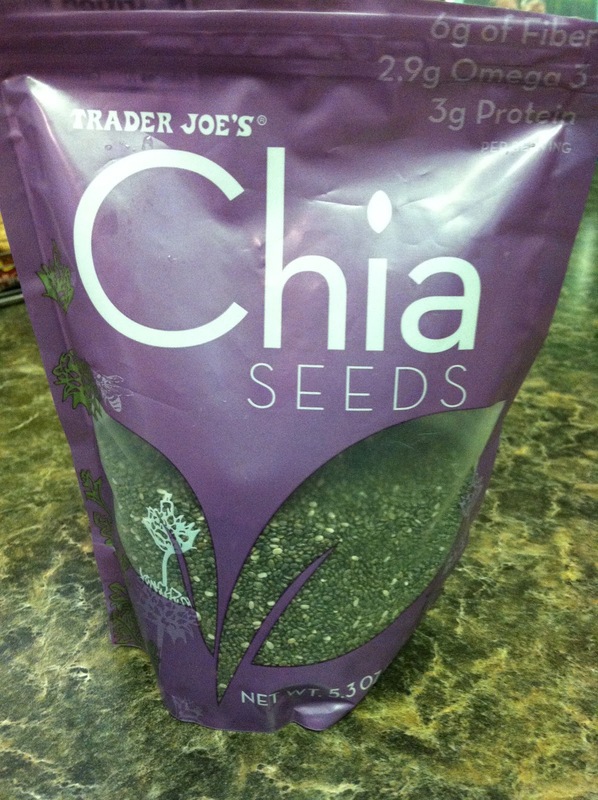 One addition I have made to the muffins is chia seeds. If you have never heard of or used them, you can read about all of their amazing health benefits here. They are a tasteless little seed that can be added to most drinks and tons of different foods in order to increase energy, and help with weight loss just to name a few. I buy mine from Trader Joe’s and try to add them to my greek yogurt in the morning. This is the first time that I’ve added them to baked goods and it turned out well. You can’t taste them, and they have lots of health benefits, so it’s a win-win, but feel free to leave them out if you don’t have any around. 1. Preheat oven to 400 degrees and line a 12 capacity muffin tin. 2. In a medium sized bowl, mix together both of the flours, the baking soda and salt. 3. In a large bowl, mix together the canola oil and brown sugar until combined. Then, add the eggs one at a time, mixing well after each. 4. Mix in the applesauce and vanilla. 5. Whisk in the flour in two batches, alternating with the buttermilk. Whisk just until combined. 7. Divide evenly into the muffin tin. Sprinkle the cinnamon-sugar mixture evenly on top of the muffin batter if you are using it. 9. Move to a wire rack to cool.